Now I am back again after a blessed and productive trip to South Sudan. Many got equipped to preach the Gospel, more than 700 received Jesus as their Saviour and God confirmed His word with signs and wonders. I could see that the atmosphere was quite tense both in Kenya and South Sudan. In Kenya people started riots because of the presidential elections, and South Sudan also had a political reason for turbulence. Politicians should actually secure peace, but it often seems they do the opposite. It is just becoming clearer and clearer to me that true peace can only come when people receive inner peace, which is why we must preach the Gospel more clearly than ever before. After some years of focusing on the John C. Maxwell leadership training we have now done the final training for the 300 pastors and leaders that has gone through the Million Leaders Mandate training from John C. Maxwells organization Equip. These leaders have finished Volume I, with its 6 seminars and books, and we have now finished the last training of Volume II, which also consist of 6 seminars. I am very happy and grateful to my friend Rodolfo Lopez, who also have helped me with the teaching. We have been together in several seminars, and he has a great way of communicating the leadership lessons to the leaders in Kenya. I just got uploaded a small video with testimonies from the seminars we had for the parliamentarians of South Sudan in Juba. I have got many great feedbacks in emails from some of the participants and it is with great excitement I am remembering the two hectic days we had together at the Juba Bridge Hotel. This was men and women that were open and receptive and they wanted to grow! I was happy to see that they were teachable and hungry for more. We are urgently praying for Sudan. The country is going through a difficult time in many ways, and there is still wars going on several places. The border issue with the new nation of South Sudan is not settled yet and the same is true about the oil issue. This conflict needs to be solved as quickly as possible as it destroys the economy of both countries. Our absolutely greatest concern is that of the 162 people groups living in Sudan, 130 of them is considered unreached with the Gospel of Jesus Christ according to the latest updates from Joshua Projects 2000. This is 80% of all the people groups in the country. You might have a look at their statistics here: www.joshuaproject.net. The number of unreached groups has actually increased over the latest years, as more research has been done, and new groups have been discovered. 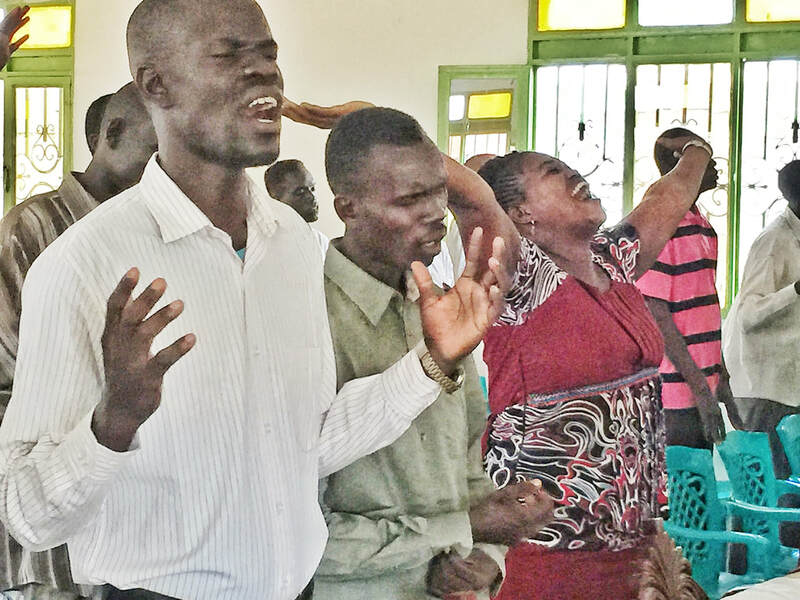 The country has now 42 million people and after the separation of the South Sudan, it has been more and more difficult to confess Christ in Sudan. Most of the people from the south have returned there, and many local Christians have been experiencing great difficulties and many have died as martyrs and churches have been burned down. We are still supporting a number of workers here that proclaim Jesus as Christ and try to help people in many ways. They are doing it with great risk of their own life, and they need our prayers every day. Please do stand with us in praying for the people in this nation now. The 9th of July 2011 was a great day of celebration for the people of South Sudan. They had been fighting for their freedom from before Sudan got independence from Britain in 1956, except for the short period of the Addis Ababa agreement from 1972 – 83. This is the period when we were able to start the work of Sudan Pentecostal Church in Juba in 1977 and after a few years the church was recognized. I came to Sudan many times in this period to help my friend Benjamin L. Terah in his pioneering work there. We sent also missionaries from Kenya during this time to help, and the first churches was started many places in the south. The new nation of South Sudan has 12,8 million people, and 7 of 78 people groups in the South is considered unreached with the Gospel of Jesus. As the working situation has been more difficult in the north, we are focusing on using this time to reach out to every one of the 13 unreached groups here. We are supporting some workers, but there are many more ready to go, and we are crying out to God for financial and prayer support for more. The nation of South Sudan has gone through terrible difficulties the last two years because of tribal fighting and large areas of the country is dangerous to live in. More than one million has had to run to Northern Uganda and some also in Northern Kenya and are living in large refugee camps there. Please do stand with us in prayer for this young nation! Jan Ernst Gabrielsen lived with his wife Ingebjørg and their 3 children in Kenya from 1973 to 1979, working as a missionary in the Pentecostal movement called East Africa Pentecostal Churches. During the last 3 years of their living there, the focus was on planting new churches among the unreached people groups in Northern Kenya, and it was also during that time that he had contact with Bible school students from Sudan and Ethiopia who were part of church-planting work in Kenya. Since that time he has been visiting the East Africa Pentecostal Churches in Kenya to have meetings and seminars once a year until 2003, when it became 3 to 4 times a year. Now there are about 1,200 local churches in Kenya which co-operate in this church denomination. It has started its own mission activity which sends out Kenyan missionaries to many other countries and to unreached areas in its own country. The majority of the people that have not yet heard the message of eternal salvation and peace with God through Jesus, live within what we call the 10-40 window. These are the countries from the west coast of Africa to the east coast of Asia and approximately from 10 degrees to 40 degrees north of the Equator. Here lives millions of Muslims, Hindus, Buddhists and others, who have never had the opportunity to hear about Jesus. Our focus is particularly on the north and east of Africa with a main focus on Sudan and South Sudan. We also work in Kenya and Somalia/ Somaliland as well as doing meetings and leadership training in countries like Egypt, Ethiopia, Uganda and Burundi. In Sudan we work closely with the Sudan Pentecostal Churches, but also with a variety of churches through the Sudan Council of Churches. In Kenya we work mainly with the East Africa Pentecostal Churches and in Egypt we work mostly with Assemblies of God there. We believe in working with strong network of churches that can assist the new Jesus groups and churches coming up.